Sangma said this during a programme to unveil the 'Digital North East: Vision 2022' document by Union Information and Technology Minister Ravi Shankar Prasad in Guwahati. GUWAHATI: In a bid to encourage telecom companies to set up towers in remote areas close to the international border with Bangladesh, Meghalaya Chief Minister Conrad K Sangma today urged the Centre to remove penalties imposed on them if their signals reach the other side of the border. He said the Indian telecom companies are penalised if their signals reach inside Bangladeshi territory. "Because of this, the telecom companies are not setting up towers in border areas. 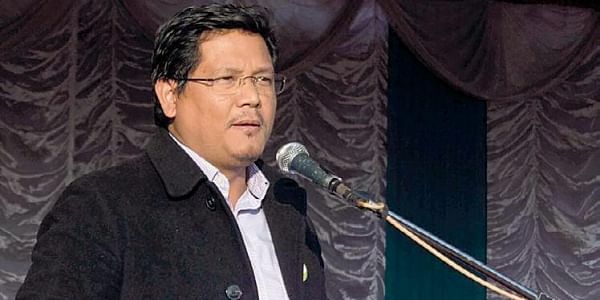 This has resulted in poor (digital) connectivity there," Sangma said. He said signals from Bangladeshi telecom companies usually reach India but Dhaka imposes no penalty on their firms. "This must change. I request Mr Prasad to look into this. Connectivity is important and additional stress should be given on that," he said. The chief minister said nearly 2,000 new telecom towers will be set up in Meghalaya soon. He said developing the required infrastructure and ecosystem is necessary for industries to come to the region. "If Digital India needs to succeed, all stakeholders must be involved," he said, referring to the Union government's programme to empower all Indians digitally. "Private parties must be taken on board. The projects that are launched, should be reviewed regularly. If the technology does not help the grassroots people, then these are useless," he said. Sangma rued that "even 10 per cent work for BharatNet has not been completed yet compared to the set target for 2019".